Each of us can face the feeling when we can’t just start writing. This is a peculiar state of mind which is frequently titled “the writing block.” The feeling is fed by negative emotions of a potential failure and unworthiness and is often mixed with the panic experience. The students who work on the development of their essay can face some serious issues, not because of lack of knowledge or skills but because they miss that spark of inspiration that can move the work from a starting point. Continue reading to get some pieces of advice regarding the organization of the working process and creative surrounding which will contribute to the creation of a decent essay. Music is often underestimated as an efficient writing inspiration source. Some even state that music is a strong distractor that prevents the student from concentrating on the writing. However, it is not necessary to write to the accompaniment of music! The music can serve as an excellent stimulant before the actual writing. The music can power up your inner fantasy resources and grant you required motivation to start writing the essay. The experts in phonology advise listening to music several minutes before actual mental labor to obtain a positive result. It is advisable to listen to some creation of classics as the effectiveness of classical music for cerebral rhythm was scientifically approved. Sounds of nature tend to be superb relaxants, and they can relieve tension within the body and get it ready for actual writing. Finally, you can always listen to your favorite music that is capable of touching the strings of your heart. It is often helpful to start writing the facts that are in your possession. You will use the material and get a clearer picture of what should be written. When the main canvas is ready, you will see the moving points of the topic and will manipulate the data in your possession with greater effectiveness. With the help of a written body, you will manage to write introduction and conclusion based on the text that is filled with verified information. The introduction is a generalized version of the main body, and the conclusion is the results that were obtained in the body with the expression of the author’s position. However, there are cases when the introduction is extremely needed as it will become a preliminary work on the essay assignment. That is why the writer is supposed to consider what part of the task is more vital to start with. Order of the thoughts is the best tool for the writing of any type of the assignment. In this aspect, drafting knows no equals. A good rough plan is an expression of all the points in the order in which the data should be introduced to the readers. The mind mapping of the essay unites various points of the essay into the unity and makes it easier for writing in future as the writer prepares not only basic statements, but also sets of means for uniting them into a single massive. Such planning can be done by means of a paper and a pen. However, in our time of modern technologies using such old-fashioned method seems obsolete. If you surf the web, you will detect numerous organizers, which are excellent tools for creating the plans of any size and difficulty. Every text should be started with organizing the ideas, and it will make the writing run extremely smooth. Remember that a written task is supposed to answer some sort of question. Save your time and prepare to the question to which you will search for answers. Having the prepared questions, you need to organize them according to the paragraphs of the text. Such approach will increase your professionalism and some confidence in what you are doing. With a prepared vector that is pinpointed with the questions, the writing will be transformed into a walk in the garden. You’ll be surprised to hear that, but Wikipedia can be used not only as copy-paste source. At the bottom of most articles, there are references to numerous articles which were taken as a source for writing. After following the links, the student can find full-sized publications which can serve as an excellent source of ideas for labor. Mind that mindless copying from Wiki itself will simply lead to plagiarism and the loss of writing desire forever. The work non-stop is among the greatest mistakes that are committed by the writers. The writers lead their tanks of creativity to total exhaustion. No wonder that after such a hard work most of the students face periods when they can’t write a single sentence. Take regular 5 minutes breaks every 15 working minutes. Just set a reminder on your smartphone. Take some office style light physical workouts and move a lot to stimulate the blood flow as it feeds the brain with all the nutrients that are required for productive and efficient work. Writing should be like a meditation. Switch off all the notifications on your computer and phone. Concentrate on the process of writing as it should bring you pleasure and not stress. Do not distract onto some notifications regarding new hilarious video or a message from a friend – it can spoil all the writing atmosphere. Remember that work goes first and fun follows afterward. The work on the wording of the text plays a decisive role in the organization of the text. 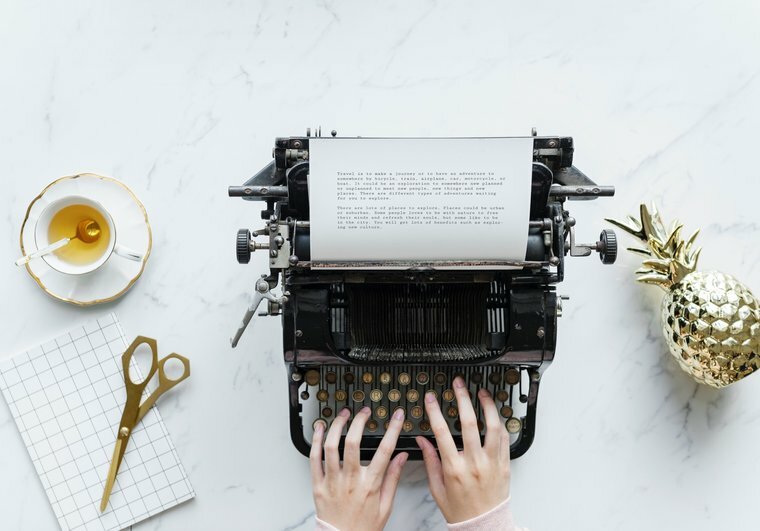 The words reflect the mastery level of the author and that is why it is advisable to use electronic synonymizes or thesauruses to raise the quality of your wording. However, always consider the contextual meaning of the word and the shade which it grants to the sentence to avoid misunderstanding. Silent reading of the text is rather effective for checking the spelling mistakes. However, reading aloud has even greater effect for checking the entire text at all levels. You will instantly hear that something is wrong. If you don’t want to read yourself, use speech engine provided by Google or any other Text-to-Speech (TTS) engines. The machine is built according to general rules of grammar and phonetics so if something went wrong during writing, you will immediately hear it. Just plug in your headphones and start listening to the text and check, whether you like it or not. It may sound a fine option for manual checking and editing of the text, but you need to develop some extra skills. That would definitely add some interactive methods to your process of writing. You never know when inspiration strikes you or when your system can go down. That is why all valuable material should be stored at some external source in order to be accessible at any time of the day, regardless of your location. Cloud storages are 24/7 accessible and have got extremely high reliability. You don’t have to worry that something goes wrong with the system and the file will be deleted. The only flaw regarding cloud servers is the fact that they need an Internet connection. If you are planning to go to a place with no access to online, you should better save the file on your flash drive for greater safety. These simple methods will prove themselves to be extremely effective and they will definitely power up the level of your productivity. The means of enhancement are applicable for both students and for experienced academic paper writers. Just try them out and check how they can help you and which one is the most suitable for your personality.